Experts on all facets of state and national history provide compelling presentations, often from their own books. Facts, statistics, rumors and tall tales provide an entertaining session for adults. Scroll through to see what events we had in 2018. 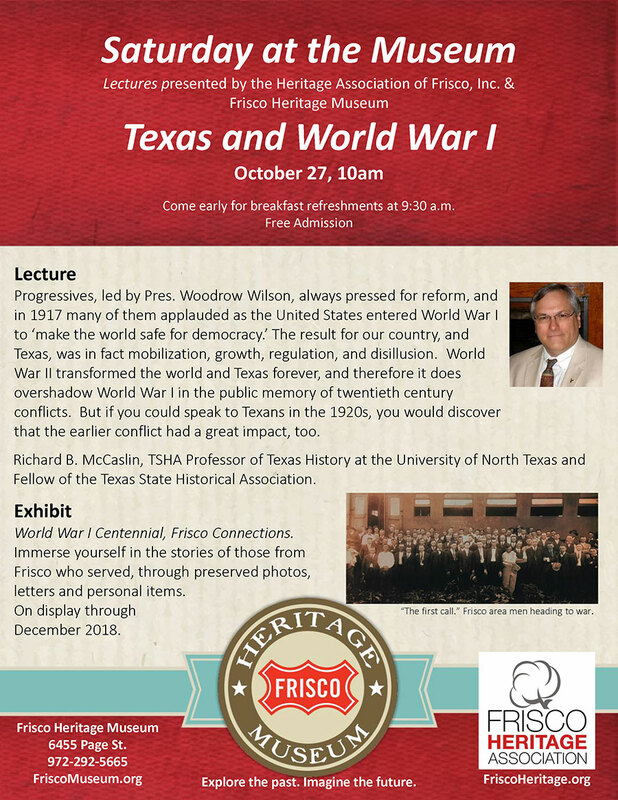 Acclaimed author Richard McCaslin returns to the podium with an enlightening look at the impact World War I had on Texans. Mr. McCaslin is an award-winning author, TSHA Professor of Texas History at the University of North Texas, and a Fellow of the Texas Sate Historical Association. After the lecture, visit “Frisco Connections,” the museum’s World War I Centennial exhibit of stories, photos, letters and personal items of Frisco soldiers and their families. Hands-on activities, student photography exhibit, and more. All activities are free and Museum admission fee is not required. 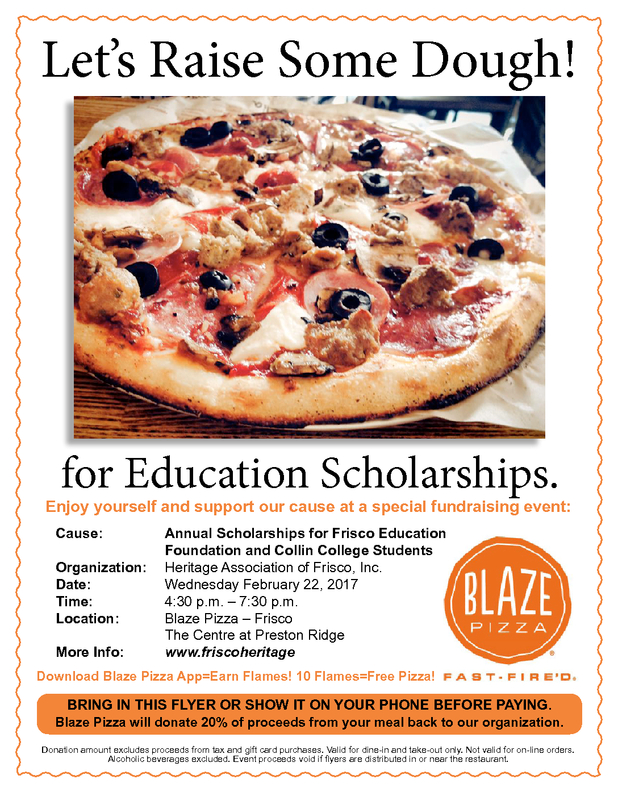 Call 972-292-5668 for additional information. More events at the Museum. 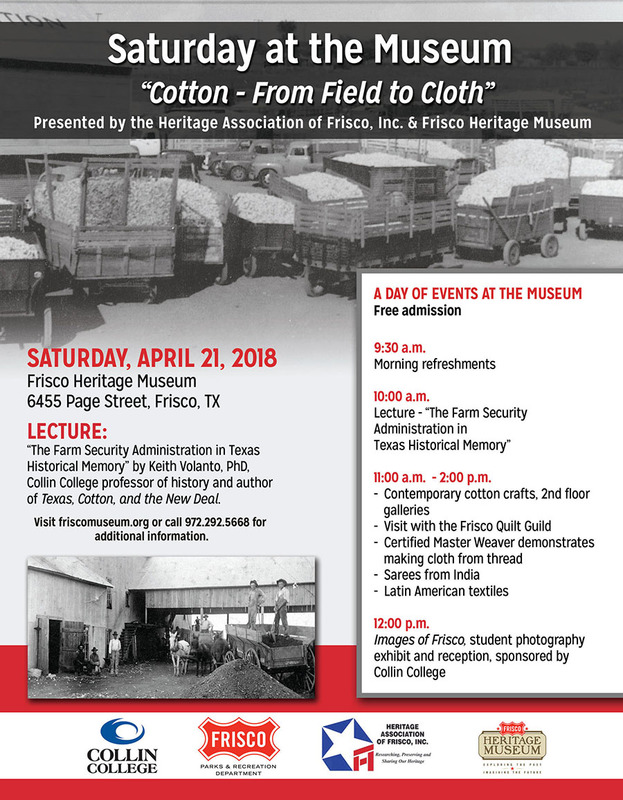 10 am – Keith Volanto, PhD, Collin College professor of history and author of Texas, Cotton and the New Deal. Second floor theater. 11 am to 2 pm – Community experts display and demonstrate contemporary cotton crafts in the 2nd floor galleries. 12pm – “Images of Frisco” student photography exhibit and reception, sponsored by Collin College.